Featuring The Oregon Guitar Quartet! The critically acclaimed Oregon Guitar Quartet is an ensemble of four of the finest classical guitarists residing in Portland, Oregon. The group’s members Mario Diaz, John Mery, Jesse McCann and Bryan Johanson have been performing and recording together for nearly a decade. Their 2010 debut album Something Wondrous Fair was met with outstanding approval. Their concert programs constantly change and feature some of the most exciting and often daring arrangements for guitar quartet. Their literature spans the centuries and includes original compositions by fellow member and internationally renowned composer Bryan Johanson. Local classical guitar maestro Cameron O’Connor will be joining together with Ashland’s James Bishop-Edwards to deliver a fabulous combination of solo and duet performances. 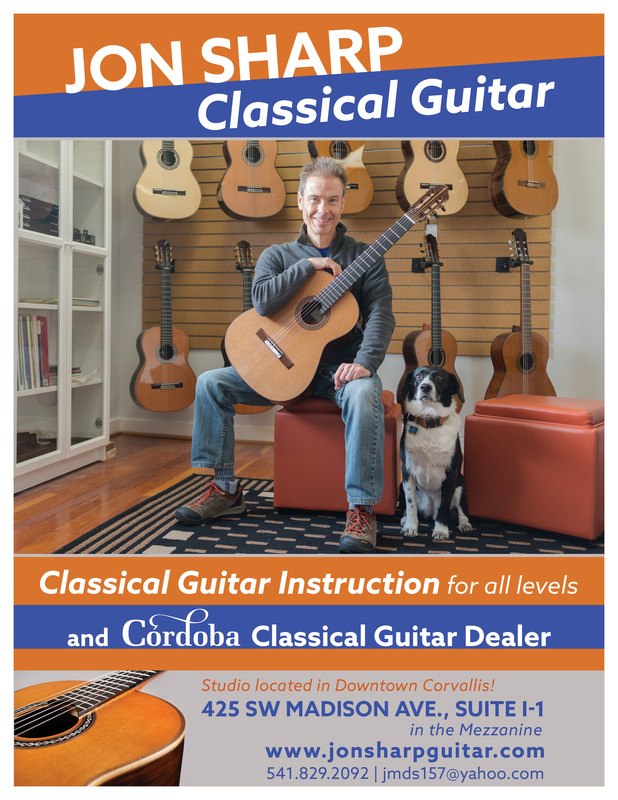 The music will range from the 16th to modern 20th century arrangements for classical style guitars. Early music will also be performed on vihuelas, a guitar-shaped string instrument from 15th- and 16th-century developed by Spanish musicians as an instrument on which to perform polyphonic music. Expect a combination of wonderful music and historical insight.